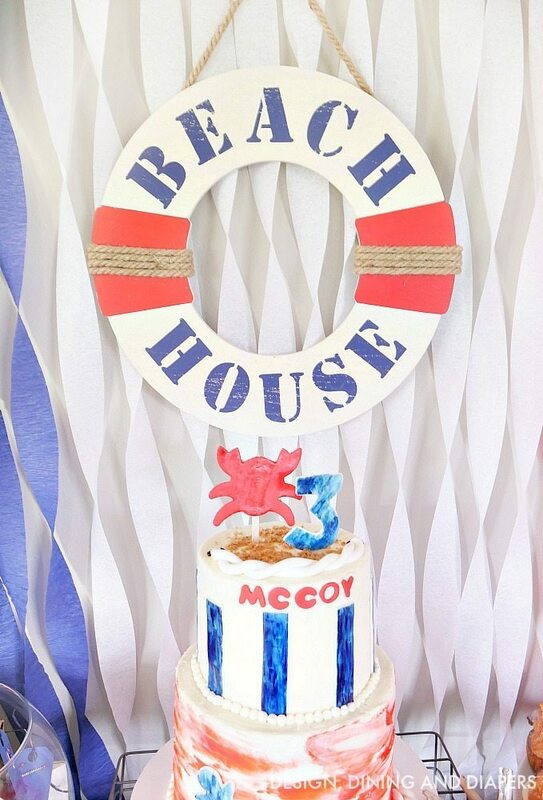 Well, it’s about time I post all the details about my two boys’ Nautical Birthday Party I threw last fall! 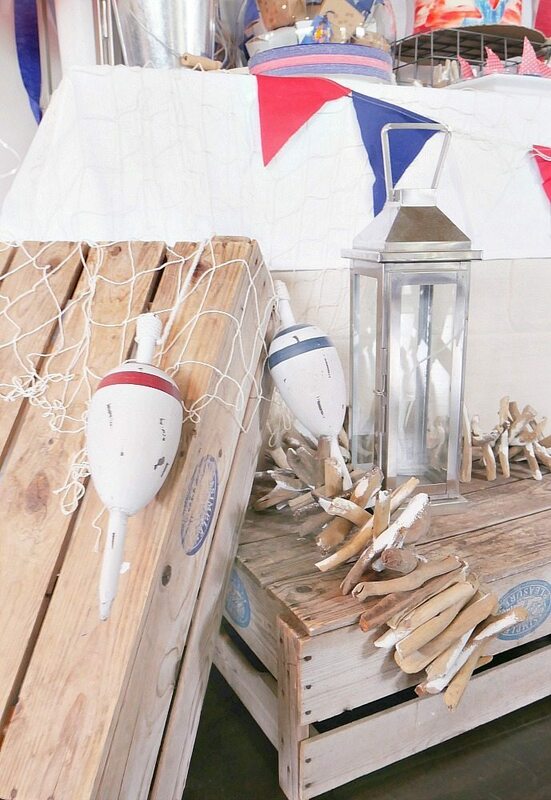 We live in the Pacific Northwest and we spend a lot of time crabbing in Puget Sound during the summer. 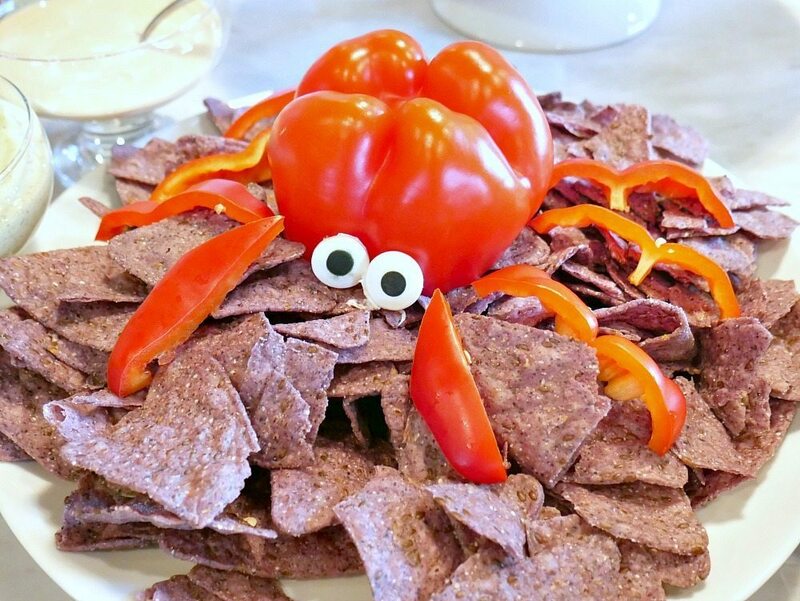 My three year old is obsessed with going crabbing with his papas and specifically requested a ‘crab party’ for his birthday. 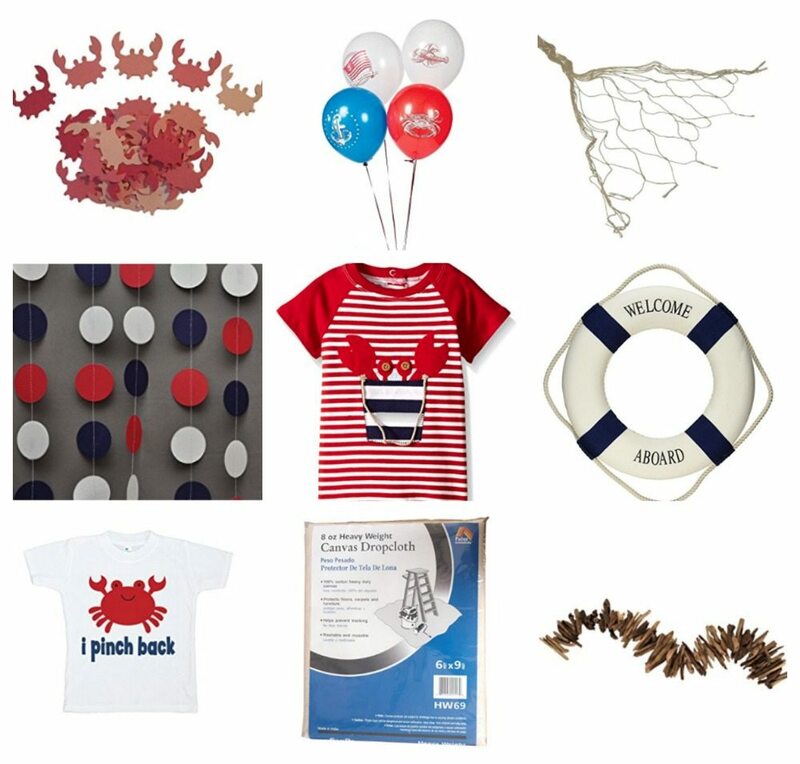 So this was my take on it, a lot of red, white and blue nautical decor, with an emphasis on some cute crabs! 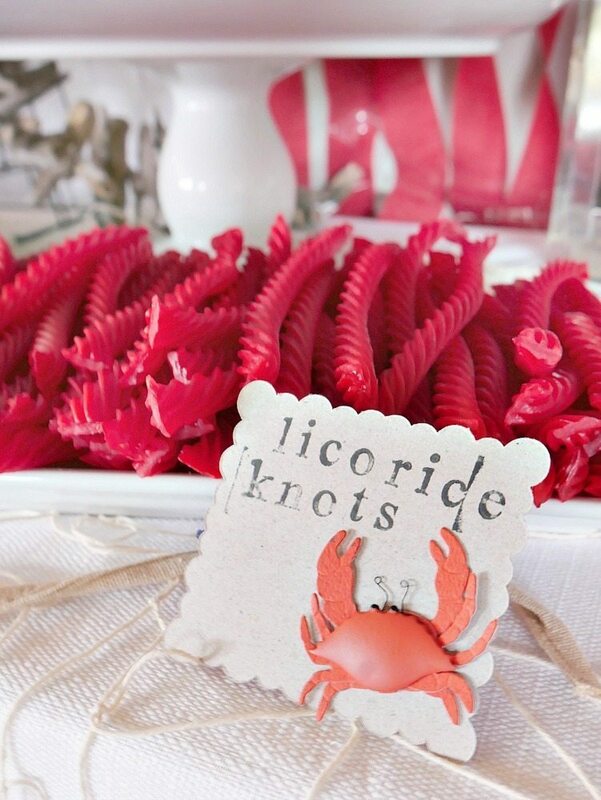 During the party planning process, I came across this lobster party by Creative Juice and was inspired by her take on the theme. 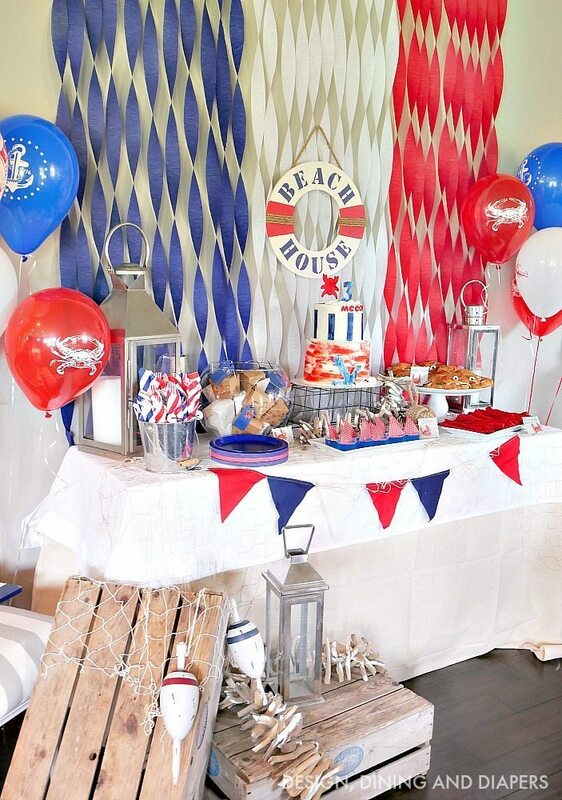 I love how classy it was yet festive! 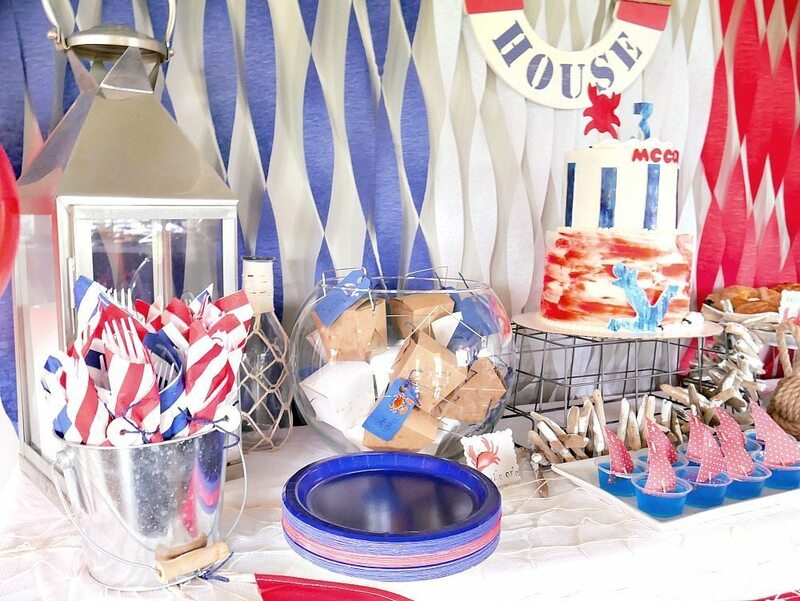 It was such a fun party to put together and you can even use some of the ideas to throw a Fourth of July Party too! The table was fairly easy to put together, since I just used a drop cloth over the table, and layered with a small white one. 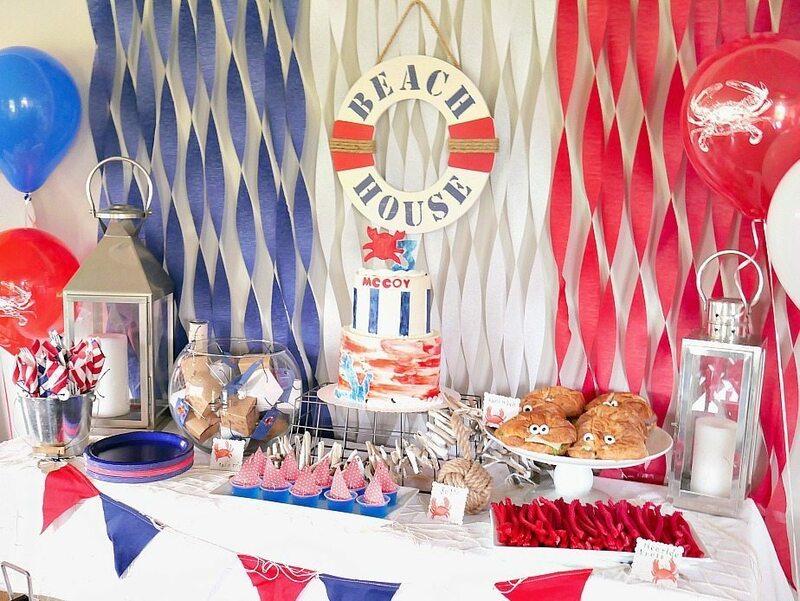 WhenI decorate my tables, I often “shop by house” for various items to add height to the table, like a wire basket, cake stands, crates, etc. If you are looking for the source of an item that isn’t list above or below, than chances are I got it at Michaels or Hobby Lobby! 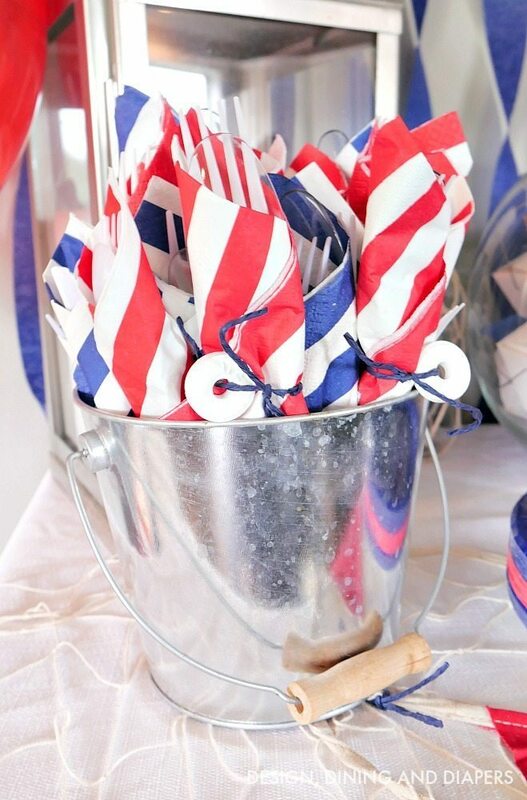 That’s where I got most of the items for this party. 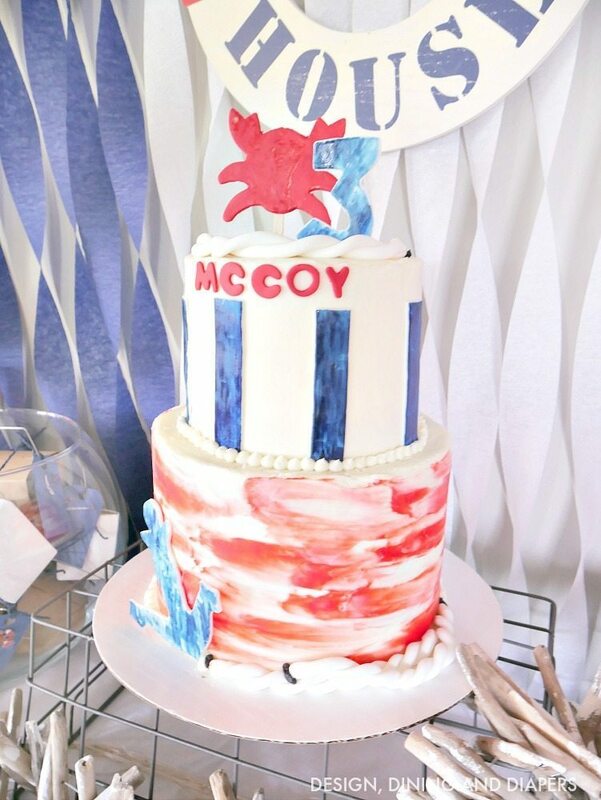 We did two cakes for the party, one big one and a small smash cake for my little guy’s first birthday. They were made by the lovely Tiffany from Turquoise and Pink! If you are in the north Seattle area check her out! 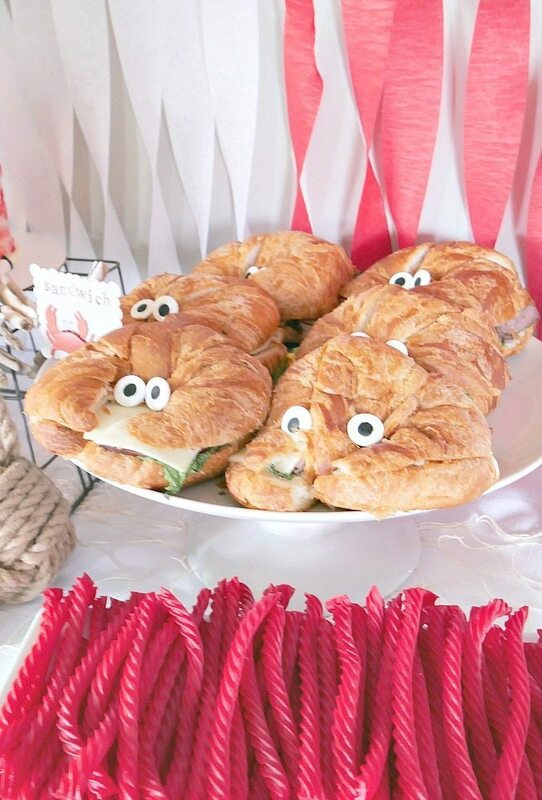 I saw the idea of turning croissant sandwiches into crabs over on All That Glitter, but instead of using googlie eyes, I used edible eyeballs by Wilton and then secured them with frosting. 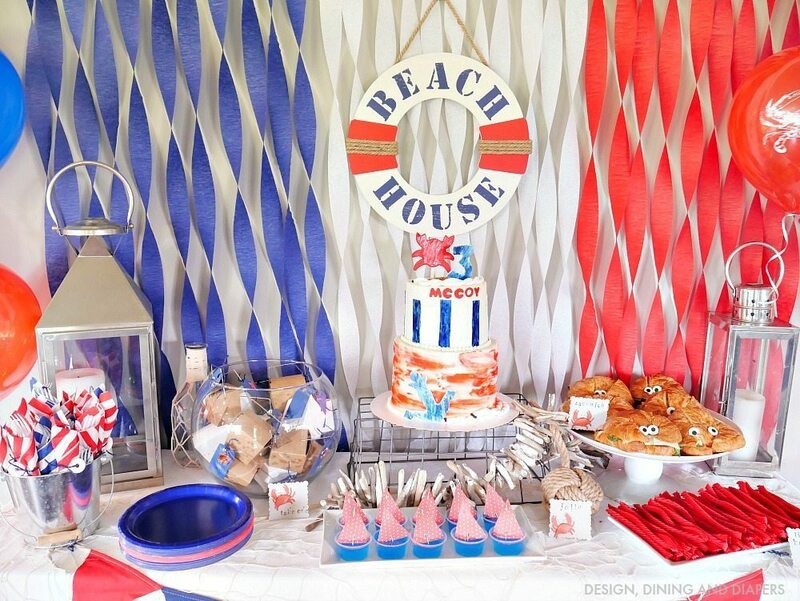 The crab party theme decoration looks really great. 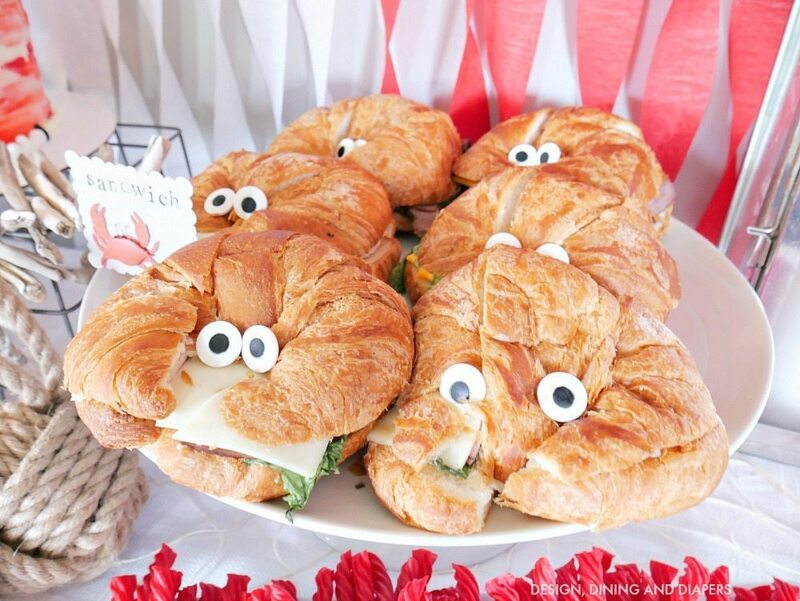 The crab sandwiches and that tomato crab is amazing, thanks for sharing the ideas.